A fun, bright twist on a classic snack. Equally as great for nibbling on during a movie as serving at your next party. 1Preheat the oven to 300°. Cover a baking pan in aluminum foil. 2In a small mixing bowl, coat the peanuts in oil. 3Pour the peanuts onto a baking sheet lined with aluminum foil and spread ‘em out. 4Roast in the oven for about 40 minutes. They should be a slightly toasty golden brown color. 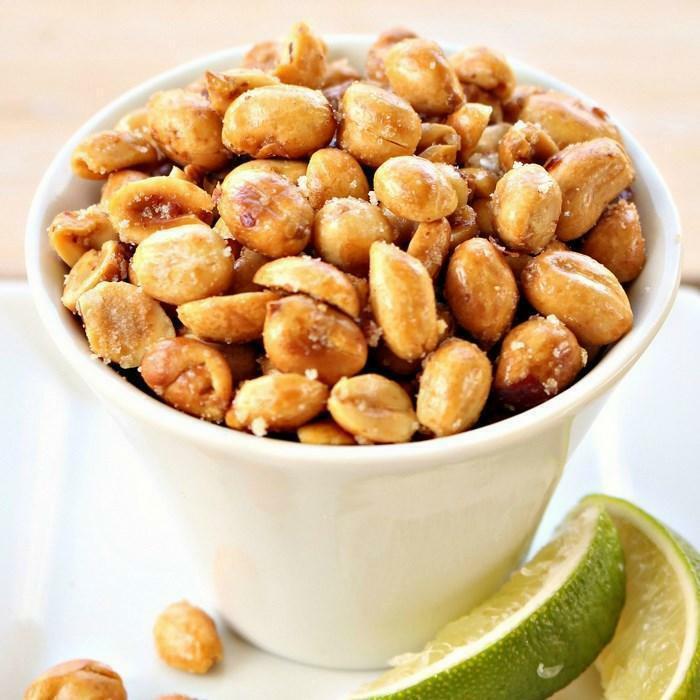 5Carefully pour peanuts back into the mixing bowl and immediately add some salt to taste. 6Add about 1 tsp of lime flavor and mix thoroughly. 7Allow to cool before serving.